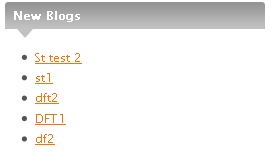 Now you can show a list of most recently created blogs on your WordPress mu/BuddyPress site. I have updated the code and added a widget to make it much easier for everyone who want to show the list of most recently created blogs on their site. 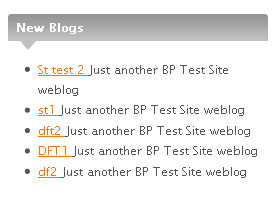 Now you can control whether to show the description or not and also how many new blogs you want to list. 3.Go to Appearance->Widgets and Drag “Recently Created Blogs” to the widget area you want. If you have any question or any trouble, please drop a line here in comments or in our support forum.